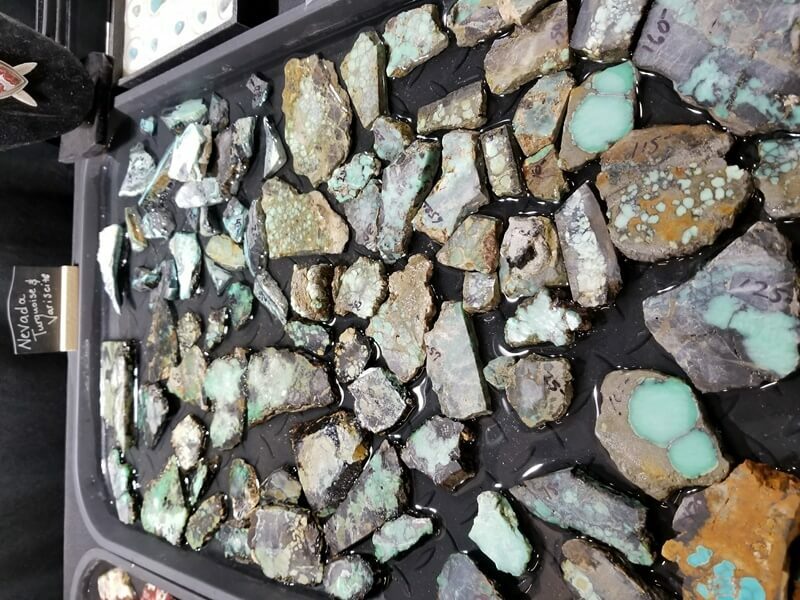 There is an endless inventory of lapidary gem materials on the market today created or enhanced to look like some other natural material, usually one that is rare and expensive. Most are natural materials that have been dyed or compressed to simulate a better quality material, or another natural material, while others are partly natural stone and partly other materials, such as resins, metals, etc. All these simulants provide an inexpensive alternative to natural gems, and many of them are beautiful, with bold patterns, and durable to be used into jewelry. The only problem surrounding these stones is the lack of disclosure, as the cabochon and bead market almost slides quietly under the disclosure radar. Helen Serras-Herman, gem artist and FGA gemologist, will discuss various natural vs. enhanced lapidary materials; among them the popular Sonora chrysocolla, natural turquoise vs. compressed blocks, sugilite vs. Mohave purple turquoise, drusy gems, azurite with malachite, lapis, and rainbow calsilica.